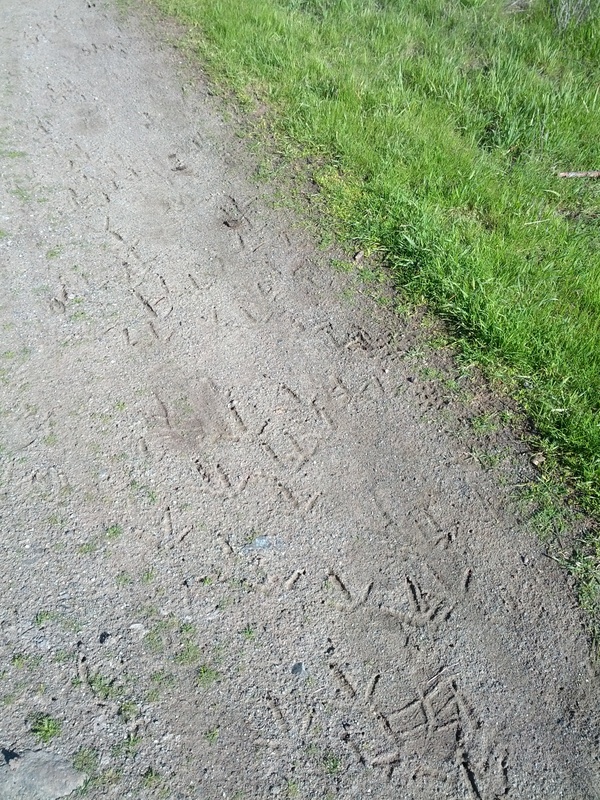 Answer: What kind of animal made these tracks? 1. Exactly where and when was this photograph taken? 2. What kind of animal left these tracks? How can you figure this out? Step 1: Copy the file to your local device. On a Mac you can CMD-click on the image (on a PC right-click) and save the picture onto your drive. If you look at that filename carefully, you'll see the first number is the date (2013-02-20) and the second number is the time (14:40:09). That's the metadata about the image you get for free without much work. 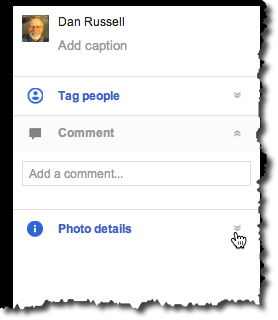 To get here, I just imported the saved file into my G+ Image albums, then clicked on the "Photo details" button (see the pointing hand in the pic below). Once I click on that, I'll see the larger image WITH the map and other metadata exposed (Camera type, exposure time, aperture, etc.). For OUR purposes, it's enough to know that EXIF almost always has all of the information about the picture... and if it was taken on a smartphone (or a smartcamera) it will have the GPS data as well. and found several. I downloaded and installed a freeware tool called FileViewer (from FileInfo.com) and was able to easily look at the entire metadata list. You can see some of it in the box on the right. Now that you know all this, you can easily drop the lat/long into Google Maps and find that the image was taken on the Fortini Trail in Santa Teresa County Park. To figure out what KIND of animal left these tracks, I started with what I knew. 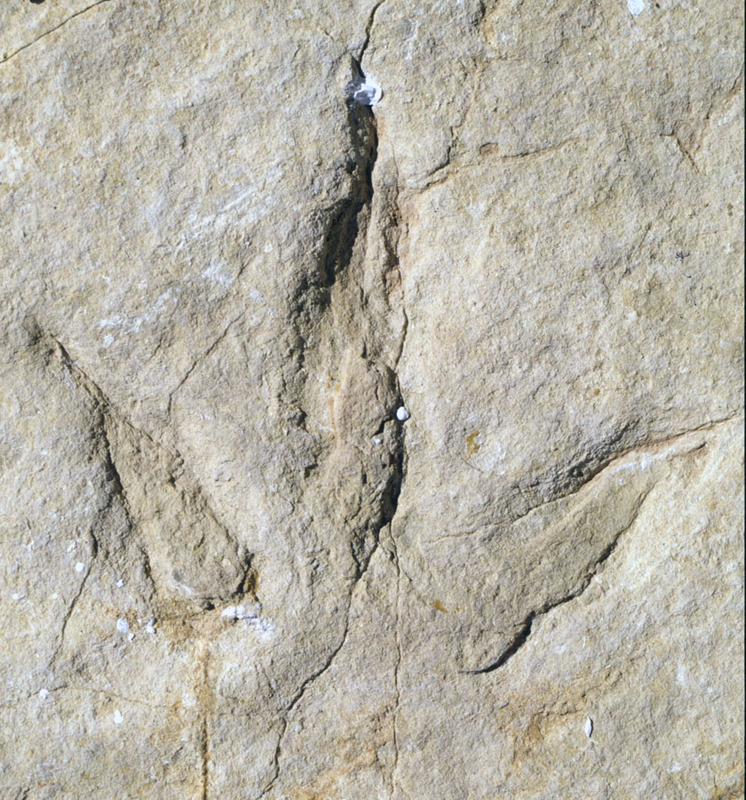 It was obvious to me that these were bird tracks (although as one reader pointed out, they look like theropod tracks... although cell phones and theropods missed each other by 230 million years). (or anything close to that) will reveal a number of sites from local birders with possibilities. If you look through these for a bit, you'll quickly realize that these tracks of this size and in this location could only be from a wild turkey or maybe a turkey vulture, Cathartes aura (they're the only birds in this area of the right size, which if you look at the tracks and compare it with my shoeprint in the image, shows the tracks to be around 2.5 - 3" in length). Here, I've taken the image I took and put it side-by-side with turkey vulture so you can see the difference. As you can see, vultures have more of a rear-toe than turkeys. But now you know how to search out, find, and use the EXIF metadata. Note that the EXIF format is flexible. In the future, one could imagine metadata that includes things like ambient weather (temperature, humidity, etc.) or even photographer ID ("dmrussell held this camera for this shot"). Stay tuned, because metadata attached to the image is a rich and growing area for expert searchers! Footnote: I was curious about how many people knew about EXIF, so I ran a small survey among 100 people who I thought of as fairly technically savvy. To my surprise, 40% of them said they'd never heard of the term before. 21% of them only had a vague idea. Now you are in the metadata literate 39%! Wednesday search challenge (2/27/13): What kind of animal? 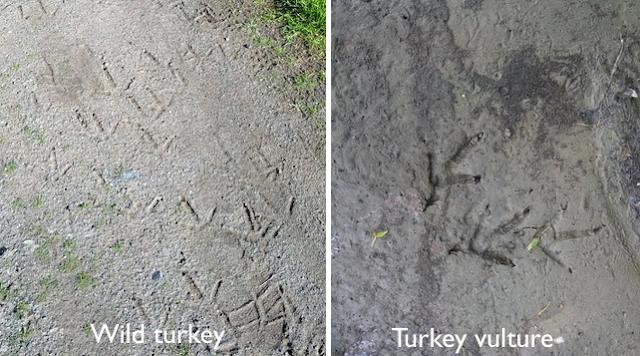 I went for a run recently, and ran across the following set of mysterious tracks in the trail. This is a unretouched image, just as I took it. Today's question is very simple (but if you don't know how to solve it, it's probably close to impossible). As usual, be sure to tell us HOW you figured this one out, and let us know about how long it took you to figure it out. If you've enjoyed the 1MM short videos I've been making, I highly encourage you to go check out the GoogleHelp YouTube channel. This is a great collection of short videos that will explain a bit about some of the lesser-used search capabilities. Check these out: Some are by Matt and Kousha, both of whom have worked with me at Google teaching classes. You might recognize Matt as Santa in the "Santa Search Tips Rap" ... and you might recognize Kousha who was the star of a couple of the challenges in the PowerSearchingWithGoogle MOOC (such as the "Sutro Baths" challenge). Here are a couple I really like from this channel. Enjoy! How to search by Reading Level. Did you know that the particular sequence of words in your search query can have a big effect on the results you see? Here's a short 1MM video to illustrate the variations you might get. The key thing to remember is that pairs of adjacent words ("cat lady" vs. "lady cat") can have profound shifts in meaning. English is highly word-order specific, so it should come as no surprised that this is true for search as well. Answer: How did Dickens fare? First, BRAVO to everyone who wrote in with answers. I’m not sure quite why (maybe it was the MOOC? ), but the quality of the research we’re seeing in the comment stream has greatly improved over the past few months. Many of the comments in reply to yesterday’s question were excellent. Not just the answers, but also the process AND (bless you!) the references to the places where you found the data. As you know, A Christmas Carol (link to the Gutenberg Project text copy ) was first published by Chapman & Hall (London) on December 19, 1843. It’s the well-known tale of Ebenezer Scrooge's transformation coming from the ghostly visits of his former partner Jacob Marley and the Ghosts of Christmas Past, Present, and Yet to Come. He is a reborn man at the end, full of Christmas spirit and a quality of charity. The book was an instant success and received positive critical acclaim. In 1843, Dickens was in a tough financial situation. He desperately wanted A Christmas Carol to be a beautiful little gift book that would return a nice profit. Working with his publisher, he tried to make it an attractive (and hopefully, high profit) Victorian equivalent of a coffee table book. It was to have a fancy binding stamped with gold lettering on the spine and front cover; gilded edges on the paper all around; four full-page, hand-colored etchings and four woodcuts by the famous illustrator John Leech; half-title and title pages printed in bright red and green; and hand-colored green endpapers to match the green of the title page. 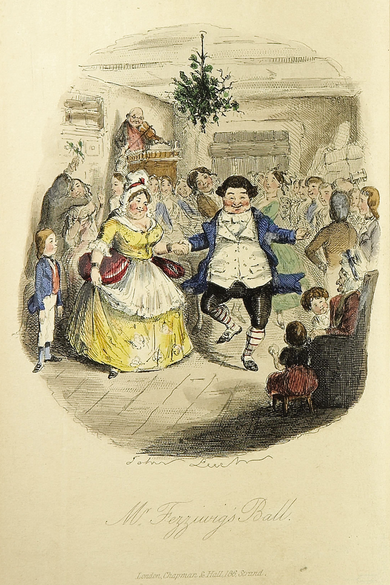 The first printing of "A Christmas Carol" by Chapman & Hall. Image from Wikimedia. But production problems began almost instantly. Dickens disliked the green of the title pages, which had turned a drab olive, and found that the green from the endpapers smudged and dusted off when touched. By December 17th, only two days before the book's release date, the publisher produced new copies of the book with a red and blue title page, a blue half-title page, and yellow endpapers (which did not require hand coloring). Dickens wrote to his lawyer that "I am sure [the book] will do me a great deal of good, and I hope it will sell, well." The price of the book was 5 s.
The book was published and almost immediately sold out in its first printing. But he’d set the price too low. According to the Guardian story, when Dickens received the initial receipts of production and sale from Chapman and Hall, he found that after the deductions for printing, paper, drawing and engraving, steel plates, paper for plates, colouring, binding, incidentals and advertising and commission to the publishers, the "Balance of account to Mr Dickens's credit" was a mere £137. "I had set my heart and soul upon a Thousand, clear," he wrote to Forster. "What a wonderful thing it is, that such a great success should occasion me such intolerable anxiety and disappointment!" Even after the close of the following year and the sale of 15,000 copies, Dickens had still only received £726. As the result of a feud with his publisher over the meagre earnings on his previous novel, Martin Chuzzlewit, Dickens chose to receive a percentage of the profits in hopes of making more money. This obviously did not pan out in the way he had hoped. 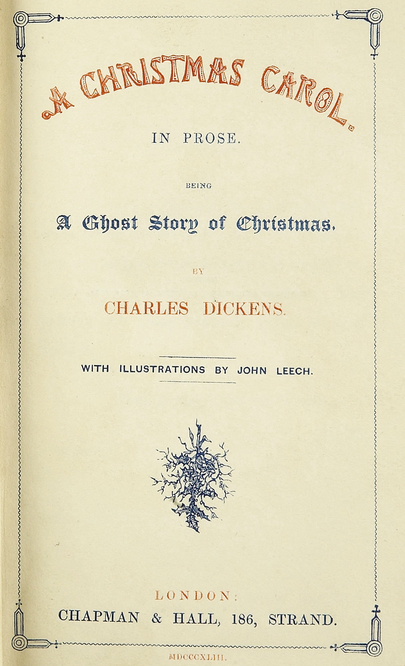 From the VictorianWeb: Ironically, this, one of the best loved stories in the English language, at first lost the author money, for his income on sales of the first 6,000 copies was but £230 while costs he incurred in suing Parley's Illuminated Library for pirating the Carol amounted to £700 when the malefactors declared bankruptcy. Search process: This search was long, but the complications weren't in the searching, but in reading through the things I found and trying to reconcile the different versions of the story. and read through the article. The links at the end of the Wikipedia article were marvelous, however, and I followed more than a few of them to get a broader perspective on the story. Jon Varese’s article in the Guardian was illuminating and fascinating. which led me to the VictorianWeb.org site (which, oddly enough, I should have known about—curator and author George Landow is a good friend). Number sold: 6,000 in the first printing (1843); with almost another 9,000 sold in subsequent printings during 1844; or nearly 15,000 in 1843-1844. Profit made: According to the Guardian article, £726, which agrees with the very nice accounting page at CharlesDickensPage.com (which reproduces a page from the publisher’s accounts book), the profit for the year was £726, so let’s go with that. But as many readers pointed out, he seems to have cleared £137 in the first printing. Nice profit for 6 weeks of writing time, but nothing like the £1000 he had hoped to make. From the NYT article about "A Christmas Carol"
I did not know that. A marvelous and significant catch! The things you learn by writing a blog. Wednesday search challenge (2/20/13): How did Dickens fare? What you probably don’t know is the backstory to this tale. Today’s question requires a little digging to get to this part of the history, primarily because there’s SO much that’s out there about Dickens and about this story in particular. So today’s challenge is really about filtering through all of the options to find the nuggets that you really want to know. 1. 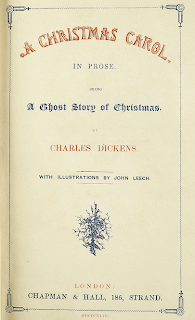 How much money did Dickens make from the sales of the first edition of “A Christmas Carol”? 2. What kinds of changes did Dickens make to the book just before publication? 3. How many copies were printed by Dickens during that first year of publication? Teaching 36,000 students is nothing like what I thought it would be. Instead of preaching to a stadium full of students, it was more like talking with a city full of scholars, two and three at a time, one group after the other. It was a lot of work, and utterly worth it. The last two classes we ran at the end of last year were MOOCs as well—Massive Open Online Courses—each had around 150,000 students registered. I’d sort of figured that 1/5th of the students would mean around 1/5th the work. That was optimistic and utterly wrong. I don’t yet have the final numbers, but my sense is that this smaller course was just as much work as the big ones—just a different kind of work, much more contact with students as individuals. 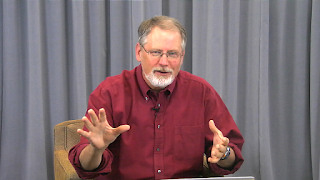 Of course, this was the *Advanced* Power Searching MOOC, but I didn’t quite know what to expect when we launched it. Would it require more handholding, or less? Would the students be really advanced or not? It turned out that it felt like *more* questions were asked, more contact was required. I still don’t know if it was because we had more people take it without having the prerequisites (that is, the Basic search class) OR if it was just that the MOOC was that much harder. I’m also really curious to find out what happened to all of the 36,000 people who signed up. Again, I’m not sure of the final numbers yet, but it looks like maybe 10% of those who showed up for the first class actually completed the course. That’s seems like a pretty low number…but it's pretty standard among MOOCs these days. Lots of people sign up for a class, thinking they'll have lots of spare time and motivation, but then reality sets in and they end up having to work an extra 20 hours that week. I don't blame them, I have same problem. I've signed up for several MOOCs and have watched lots of video, but haven't yet managed to complete the course work. 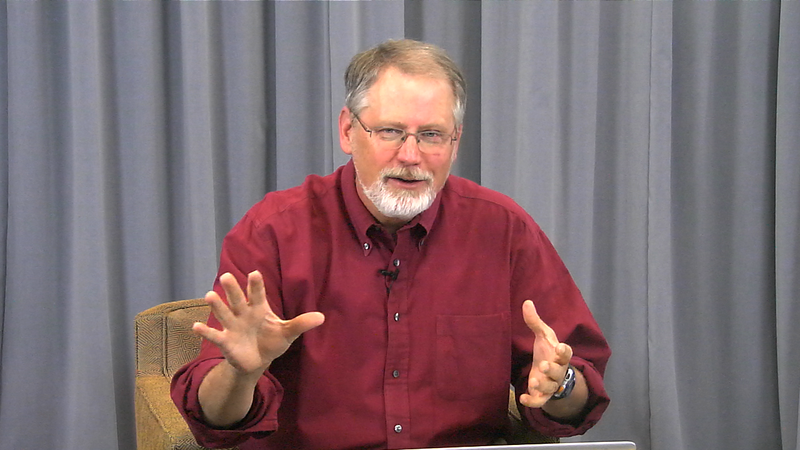 One of the truly striking features of this MOOC was that we had so many videoconferences with students by using Google Hangouts. As a result, I was able to talk with lots of students around the world—including Bobby in Beijing who was attending the class by working around the Chinese firewall to watch the YouTube videos. He looked to be around 14 years old. That’s pretty sophisticated stuff for a 9th grader. I also had a long conversation with an Ecuadorean flower seller that made think twice before making assumptions about the students. She was in her mid-30s and when she told me that she “sold flowers” I assumed that since she was in Latin America, she sold flowers in the local farmer’s market, or sold them by wandering from restaurant to restaurant they way I’d see many times before in Mexico and Honduras. So when I asked her WHY she wanted to take the class, she explained that she wanted to research various markets in the US and Europe for her flowers. She didn’t sell them a bunch at a time, but in large numbers per order—she was a large exporter of tropical flowers, not a small-time seller. Amazing. It was suddenly obvious why she wanted to improve her search skills—her market research was an important part of her job. But perhaps most surprising was the kid in Syria who participated in a few videoconferences. I kept wanting to ask HOW he was taking this class while living in a country that is deeply embedded in a civil war, but I resisted the urge. The fact that he was able to connect from Syria was remarkable enough. Perhaps that’s the most amazing thing about the MOOC—the constellation of people, countries, and cultures. Five percent of all the course attendees were from Egypt! That tells me there’s a pretty deep interest in improving one’s research skills. Google’s not just for looking up triviata and answering bar bets, it’s also being used globally to dig more deeply into questions that are tremendously important. I’m glad we were able to help some students out. If you took the MOOC and finished (or if you didn't, but watched at least a couple of the videos or worked on one or two of the challenges), I'd love to hear your experiences. Anything you want to share? Answer: What kind of flower is it? 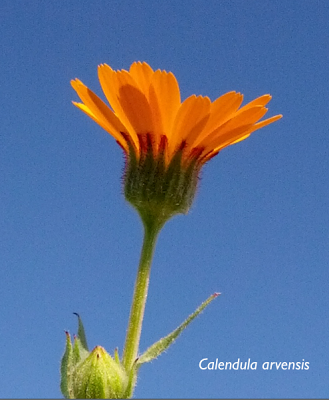 Joe at 7:35AM called it Calendula officinalis (which is close enough that I’ll accept that answer). See details below. Khilbelink at 7:37AM named it correctly as Calendula arvensis. Unknown (aka “Julio”) at 7:47AM got VERY close by calling it a Malmequer flower (but when you translate “Malmequer” it means “marigold” in English, which is close, but not quite precise enough). Sorry, Julio. Sean at 7:53AM also figured out it was a Calendula arvensis. So… Sean, Khilbelink and Joe… send me an email and I’ll get those t-shirts to you! and found that Mint plants (in the family Lamiaceae) have square stems with rough, aromatic leaves. But when I read a bit more, I found that all Mint flowers are shaped a bit like pea flowers—with a couple of fused big petals below and free upper petals. 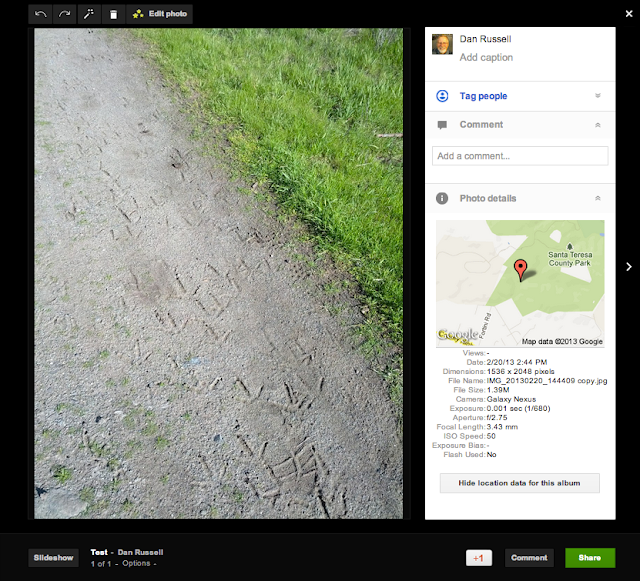 I switched to Image search and scanned down a bit. Here’s what I found about 5 rows down… a flower that looked a LOT like the one I was after. This suggested that it was a “marigold calendula officinalis.” That was a great clue—so I started looking up “marigold” and “calendula” and “officinalis” as search terms, quickly finding out that “marigold” is a common name of a large number of flowers, while Calendula officinalis is the name of a specific kind of flower that looked a lot like the one I had in my hand. This was great! After only a couple minutes of searching, I seem to have a real clue about the flower. led me to the website Calflora.org, a site I soon discovered is associated with UC Berkeley and a whole bunch of people with extensive California botanical experience. (And, to their credit, they document ALL of the flowers in California, the weeds, the invasive species, and the native flowers.) I started noticing that they had fantastic images... ones that looked just like mine. Image from CalFlora of Calendula arvensis. 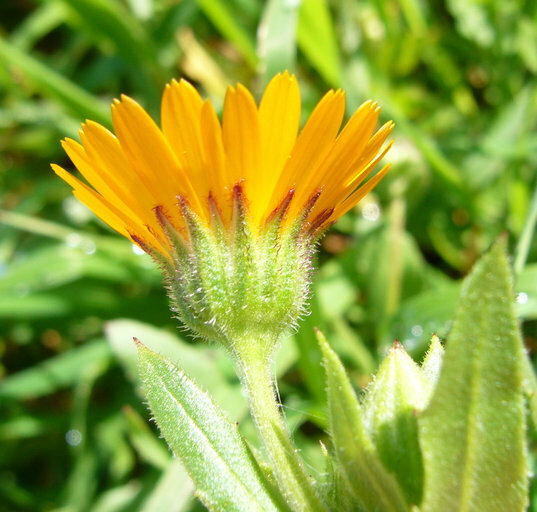 Not only are there many different kinds of Calendula in California, none of them are native, and some are invasive. 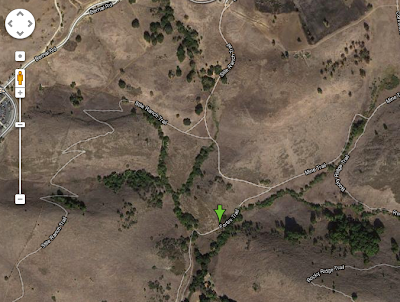 Well, that certainly seems the case here—they took over that hillside in a big way. As you can see, both C. officinalis and C. arvensis look like the flower in question. Which one is it? If you spend any time at all looking around at flower identification sites, you quickly find that they all end up pointing to the Jepson Manual (http://ucjeps.berkeley.edu/ ) which is THE bible of plant identification. So let’s look them both up in the Jepson Manual. That’s pretty easy, but then you end up with these two descriptions side-by-side. Stem: slender to ± coarse, sparingly branched. Leaf: sessile, <= 15 cm, ± thick; base generally clasping. Inflorescence: heads erect at maturity, flowers closing at night. Ray flower: ray pale yellow to orange. Disk flower: corolla generally 5–6 mm. Stem: slender, <= 60 cm. 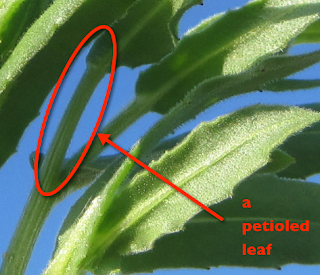 Leaf: petioled; blade <= 7 cm, ± thin, becoming sessile distally. Inflorescence: head nodding at maturity. Ray flower: ray yellow to orange. Disk flower: corolla generally 2.5–4 mm. So… how do we decode this? Two key items leap out at me when reading these descriptions. First, C. officinalis is described as “finely hairy” and having “sessile” leaves. Second, C. arensis is described as being “glandular-hairy” with “petioled” leaves. 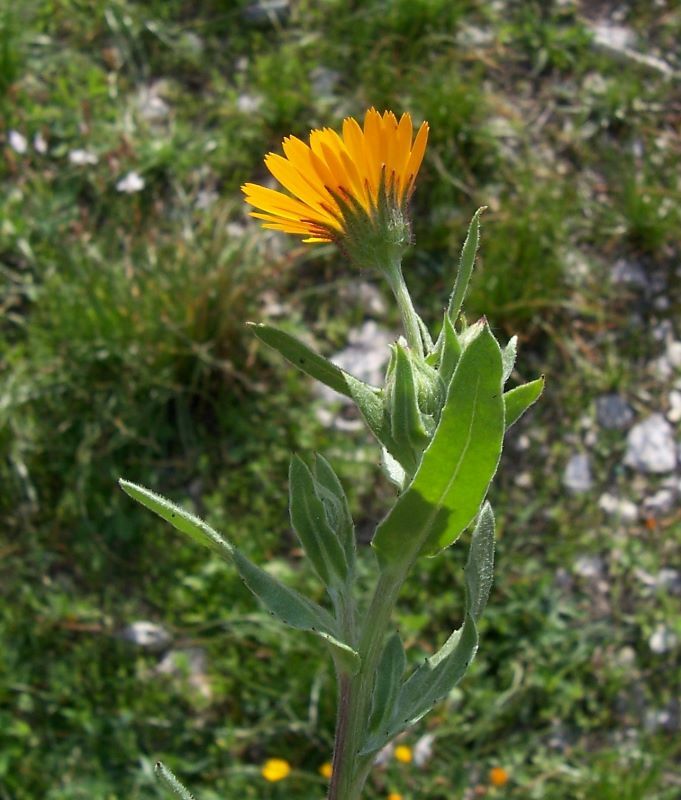 If I had NOT discovered the calendula family that way, I would have had to start searching for image collections of golden-yellow Bay area wildflowers, probably filtering by image color. But the process would have been the same—find something that is a near match, then double and triple check on the details of the flower. As you see, I spent some amount of time looking for great reference materials (CalFlora.org and the online Jepson Manual). 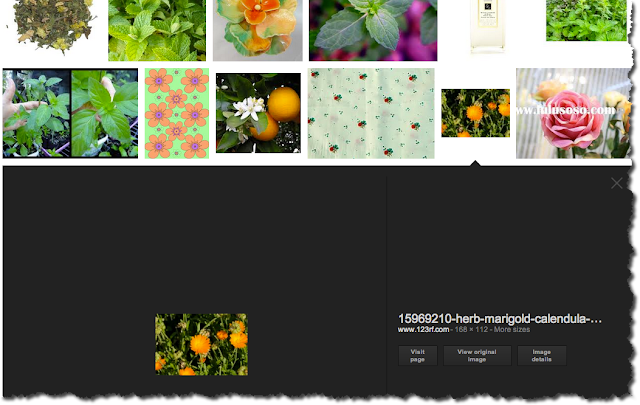 Just matching pictures isn’t really detailed enough to give authoritative answers on plant identification questions. When the flowers actually bear fruit, I’ll take a few pictures and measurements… and determine if they’re really those of officinalis (at 10-22mm) or the smallish ones from arvensis (3-12 mm). Answer: How many empty buildings?